Playing Blackjack online has its good and bad sides. The bad sides typically involve the fact that the cards are being shuffled after every single hand, rendering many classic Blackjack strategies (such as card counting, shuffle tracking, ace sequencing, etc) useless. On the bright side, if you are using strategies in online Blackjack, you don’t have to worry about being kicked out of the casino for being an advantage player. Still, what Blackjack strategies can you use online? Here’s our advice. The main advantage of online Blackjack is the fact that you’re not under the croupier’s or camera’s scrutiny – so you’re free to openly use a chart with the basic Blackjack strategy, which will increase the number of your correct moves even if you are new to the game. The unfortunate thing is – while online Blackjack offers more freedom, the automated nature of game itself creates different limitations. So, how do we work around this? Well, many variations of online Blackjack have their own unique rules, leaving space for new – game specific – strategies! 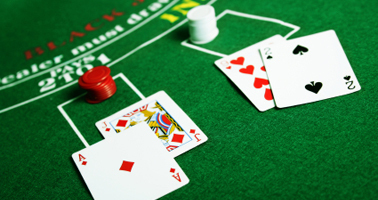 Online Blackjack games often feature side bets and special bonuses. Unsurprisingly, these rules affect the game, altering the optimal basic strategy. To work around that, see this comprehensive guide to the best online Blackjack strategy in such circumstances. Furthermore, games such as Spanish 21 require you to adopt a completely different approach: here, you’re rewarded not only for beating the dealer, but also if you get three sevens. So, if your hand contains 2 sevens, you will always go for a hit! Similar rules apply to other exotic Blackjack variations. Then, there are useful tools that can help you become a masterful strategist. Statistical Blackjack Analyzer is one of the best pieces of software that can calculate everything you need to know to play the right way. At the end, perhaps this is the greatest luxury of online Blackjack – you can let your computer do the math, then cleverly apply its calculations and enjoy the game! Next Story → Blackjack Dealer Tells – Can They Help You Win?